Round brilliant cut diamond 0.26ct, F colour, VS clarity. Round brilliant cut diamond 0.01ct, F colour, VS clarity. Two diamonds are used to give the illusion of a single rim set pear cut stone. Set in platinum with a slightly tapered 18ct yellow gold band. 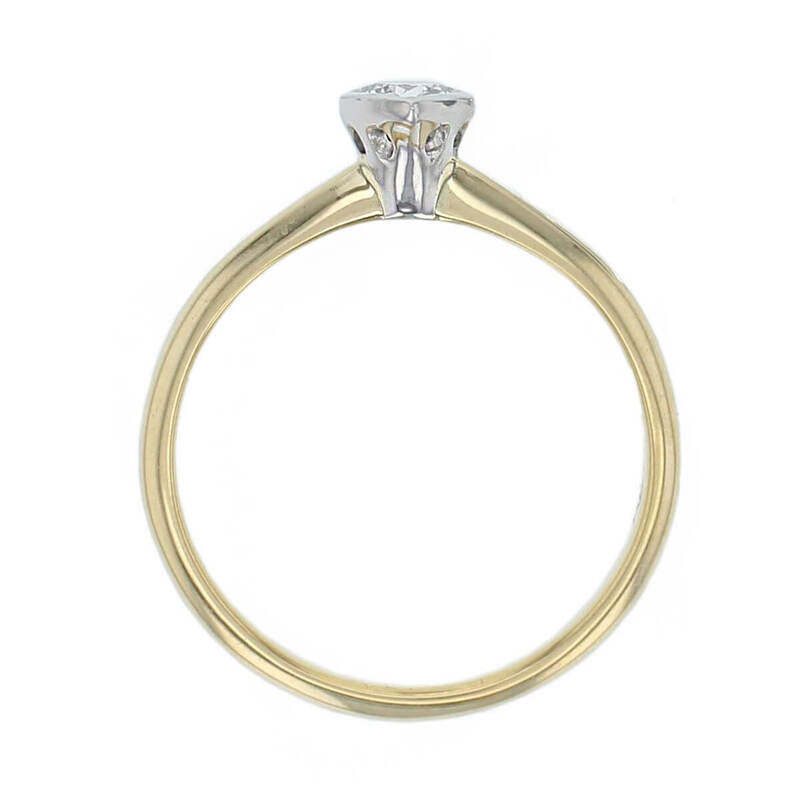 We have designed this engagement ring to be able to fit flush with any straight wedding band. The ring pictured is L finger size. Please select your correct finger size. 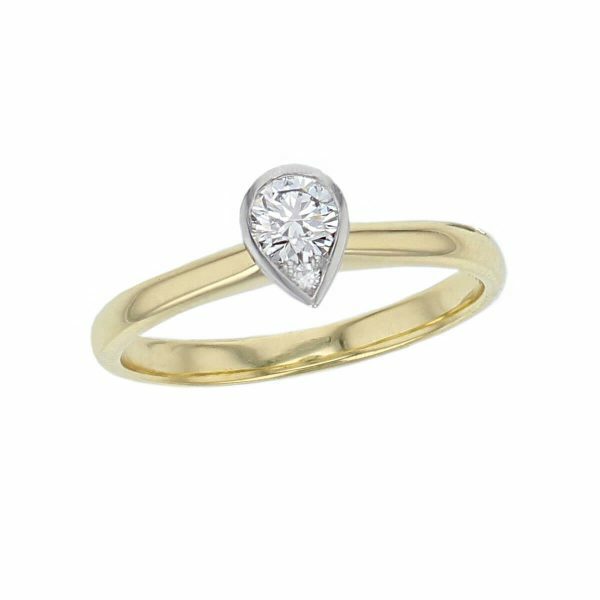 This engagement ring is supplied with a Faller Appraisal :- a detailed description of the ring and its value, along with photos of the ring.